Hello loves! Happy Monday to each of you! 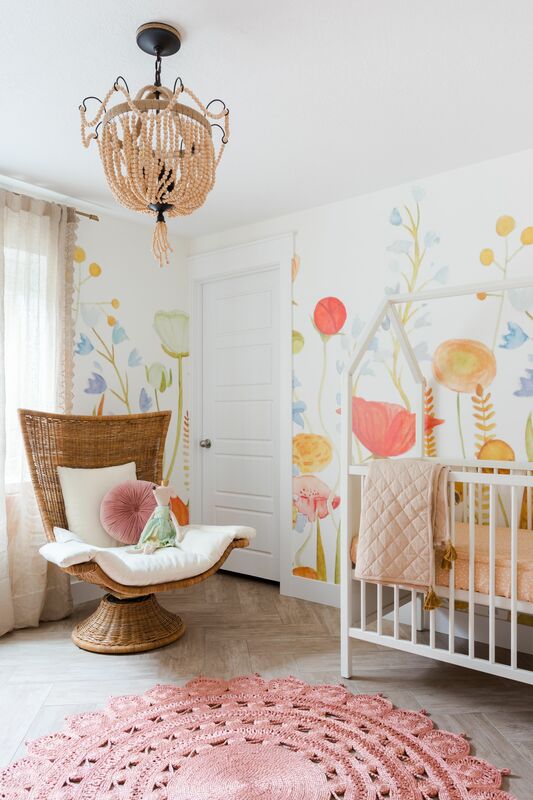 It’s here, it’s finally here, I am finally revealing Echo’s nursery and I am so excited about it. I have been waiting to share this special space of our house with you and now the time has arrived. 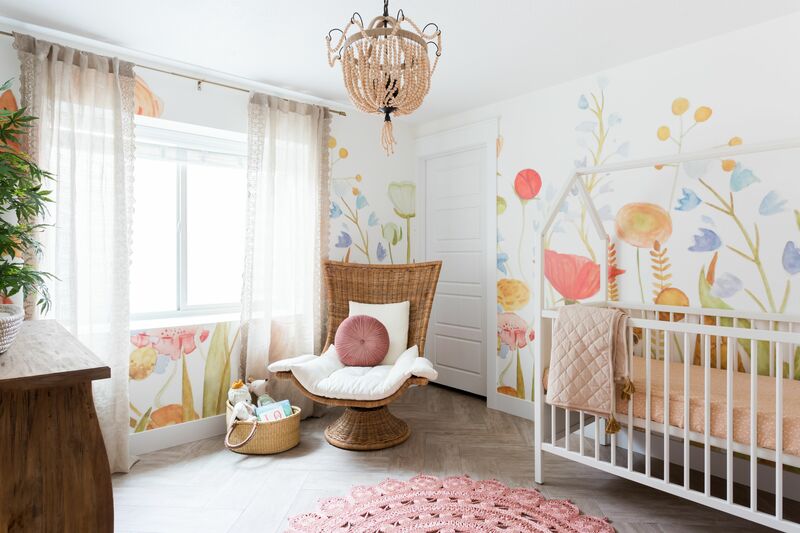 From the day I found out I was having a girl, the excitement of decorating and designing her room was something I thought of often! And of course, once it came time to actually get to work doing it, the first place I went was Lulu & Georgia. 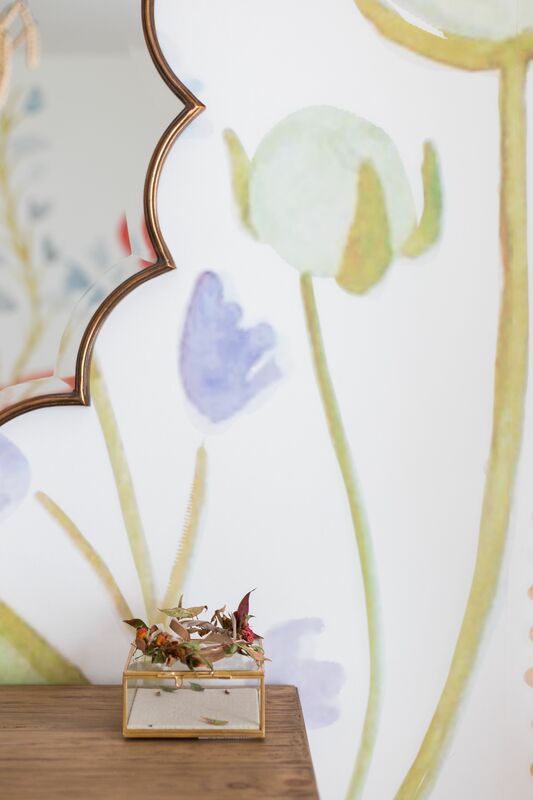 I love everything about Lulu & Georgia and the pieces they carry for your home. Think of anything cute and you can find it there! Seriously though. 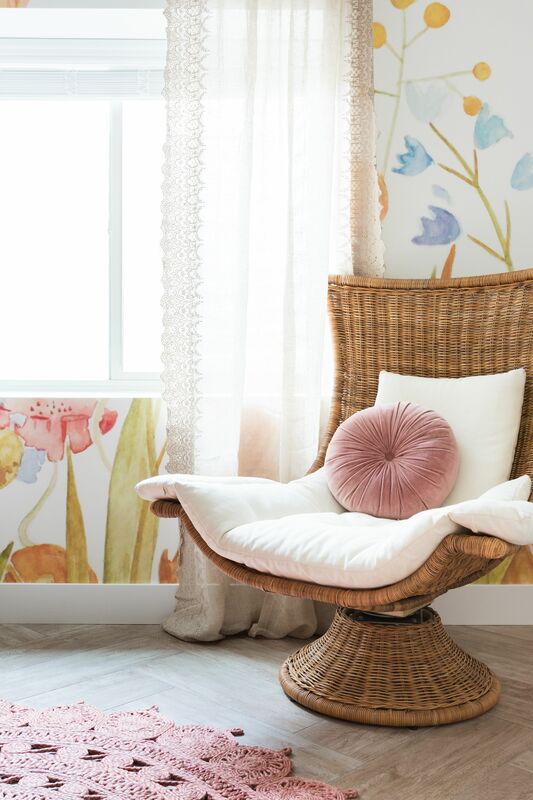 The first item that kind of sparked my inspiration behind Echo’s nursery was the wallpaper. The minute I saw it I knew I had to have it in her room. 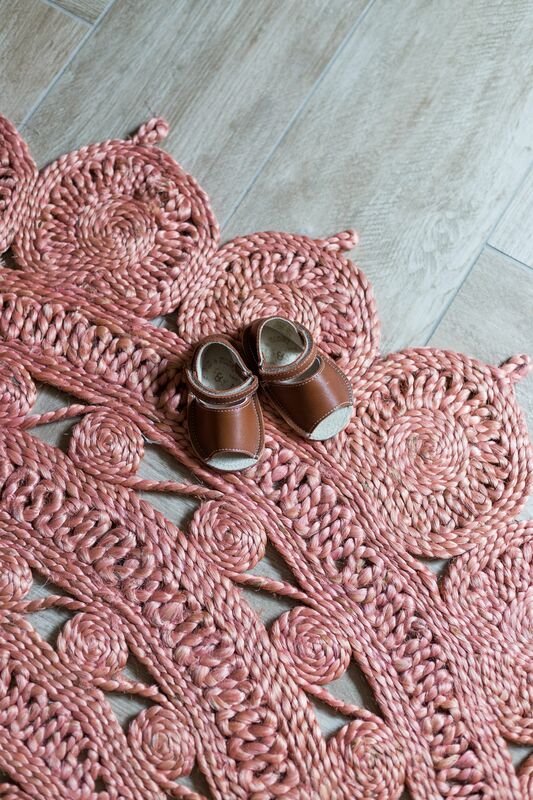 I love that it has a feminine touch it has and yet has this vintage and fun feel to it that will transition with her as she grows into a little girl. 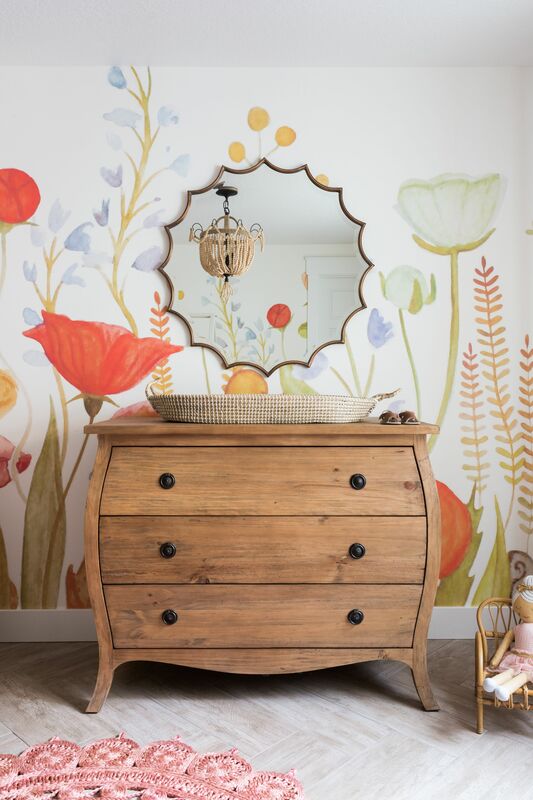 The wallpaper was kind of the base of the design and then I played off that for everything else. I don’t want to say too much because I want you to see it and get a feel for it on your own.  I have linked everything below!! 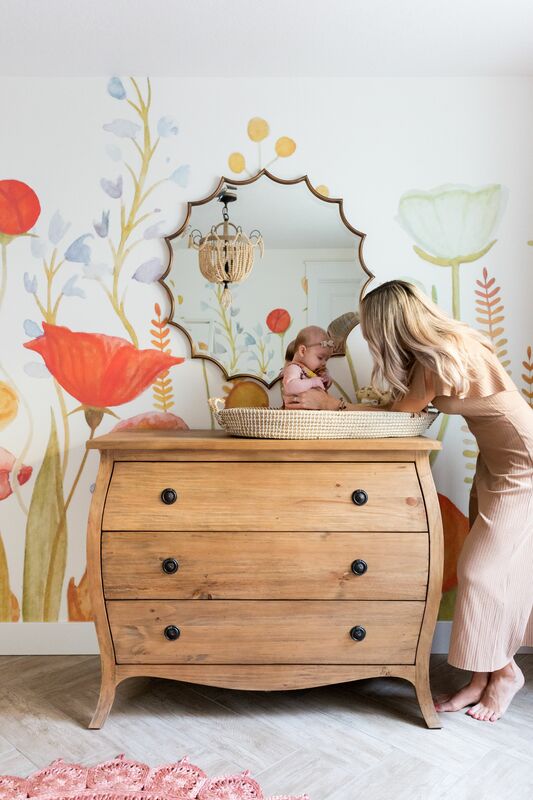 Also, I must say that one of my favorite parts of each day is going downstairs with my baby girl into this beautiful room to feed her, chat with her, smile with her, and just spend time with her! I love it!! Hope you guys like it and I hope you have a wonderful start to your week! Special thanks to Amy Bartlam (@amybartlam) for the fantastic photos! 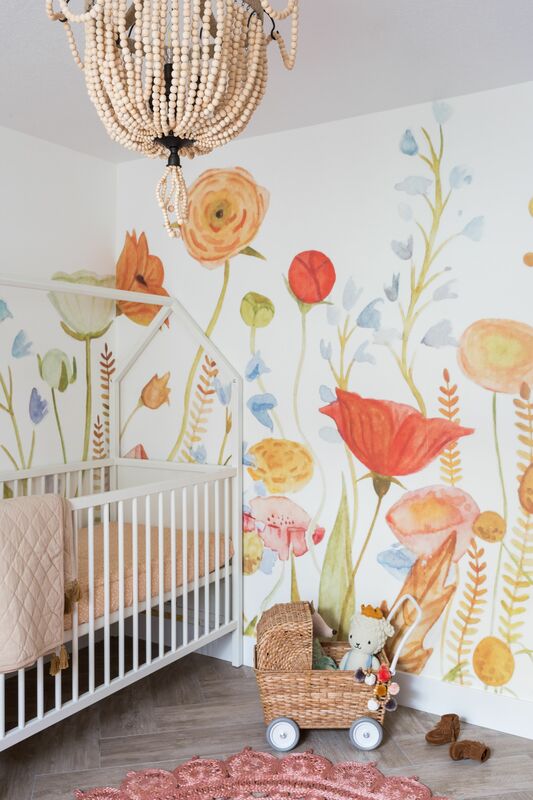 Such a beautiful nursery room!!! I have one question though where did you get the changing basket mattress?? 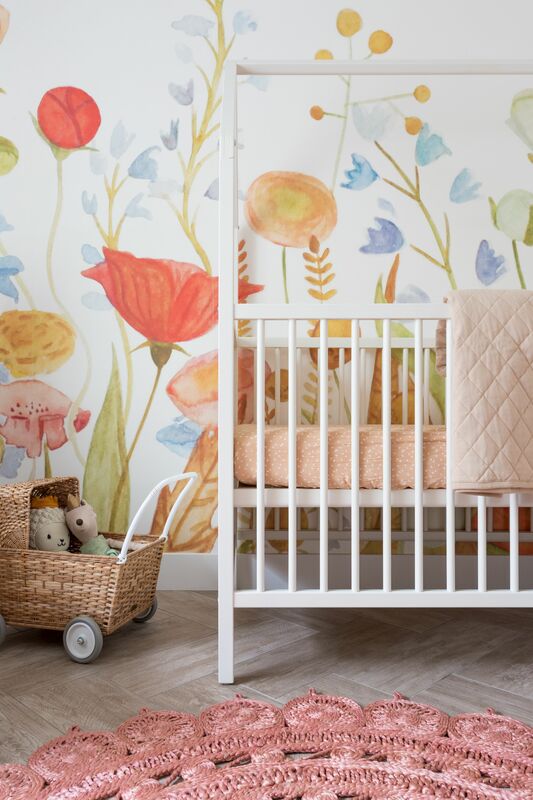 Her nursery is so beautiful! 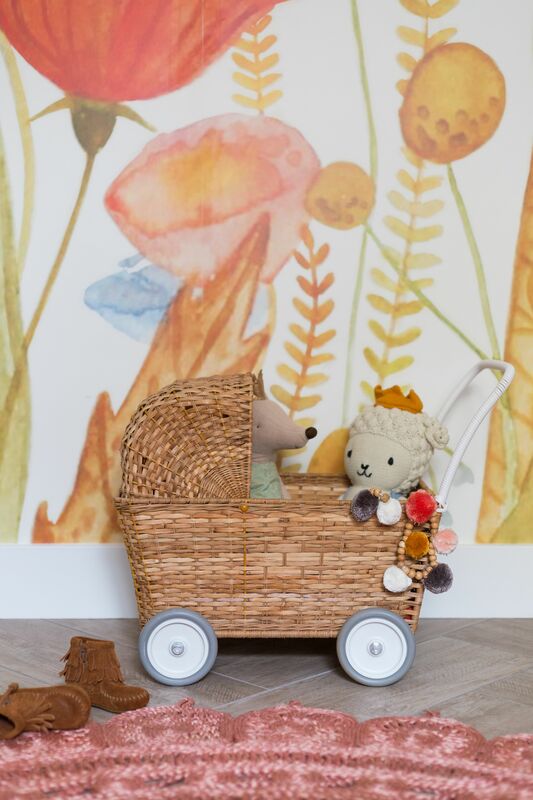 I am currently waiting for my baby girl’s newborn photos to come in so that I can print it and hang it up in her room. I love watching Echo on Insta story! She is so freakin cute and very talkactive lol. Wishing you and your family all the best.